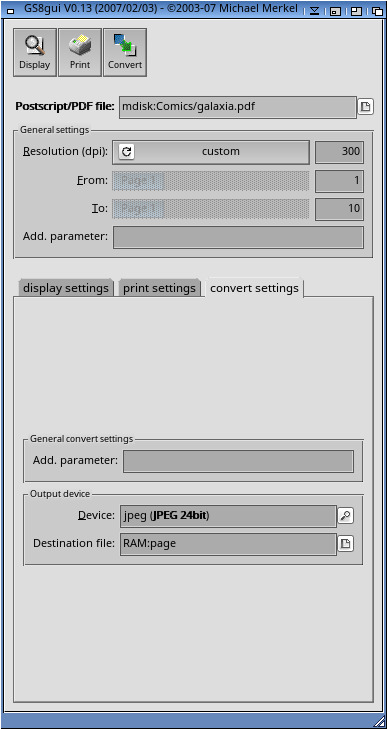 Description: A GUI for Ghostscript8 done with RxMUI by Michael Merkel. 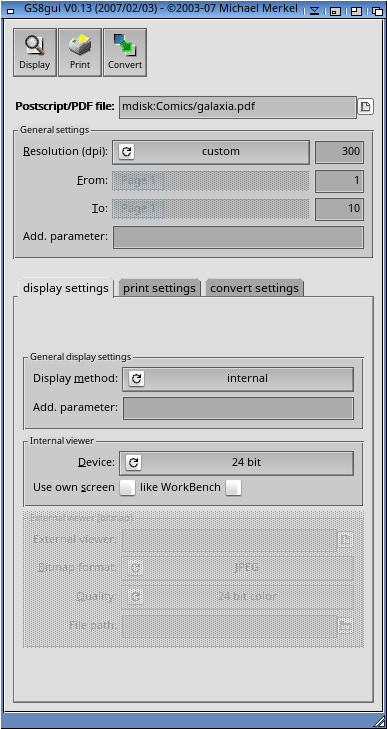 Simple Graphical User Interface for the Ghostscript8 port done by whoosh. to use the new internal Ghostscript8 Workbench viewers. * just copy the drawer where you like it. I'd prefer "GS813:" for example. right before GS is called. The file is: "PROGDIR:_BeforeGS.envscr"
* Just start the script via shell or via its icon (Workbench). cancel the processing during processing a file - hopefully :-). --> hint: gs8 crashes if you try to view a page which does not exist! page number fields are taken into account. You *must* re-set these zwo settings to use them. GS8gui_Convert and GS8gui_Print which you can use for this purpose. 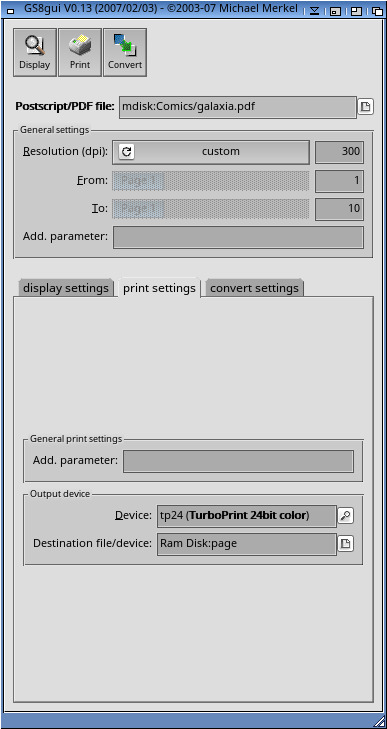 * Added four input fields for additional parameter (global, display, print, convert). These parameters will be added to the GS command line when executing the action. optimization for the target format. Study the GS docs for other parameters.